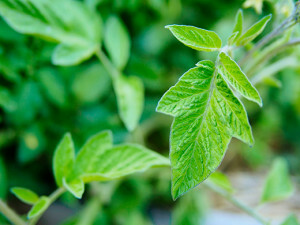 Soak 2 cups of chopped tomato leaves in 2 cups of water overnight. Strain liquid the next day (discard leaves). Spray affected plants, as soon as aphids appear, to keep numbers down. Pay particular attention to stems and the under side of leaves – as well as growing tips. Use only when pests are visible and re-apply after rain. Hopefully beneficial insects will follow the smell of the spray once you have applied it and get to work on your pests. NB: Should be avoided by those with allergy to nightshade family. Label solution and date it. Keep solution out of reach of children and pets. Test solution on one or two plants before widespread use. Wear appropriate protective clothing during use.